A-TEC Critical Care Transport Team’s mission is to safely transport critical patients in a compassionate and professional manner. Our highly experienced, exceptionally qualified team of Critical Care Paramedics set the standard for patient care and comfort. 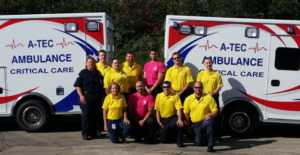 Our Critical Care Team has a foundation of education during their several years of service at A-TEC. Most also serve in a dual role as team leaders and mentors as field training officers. 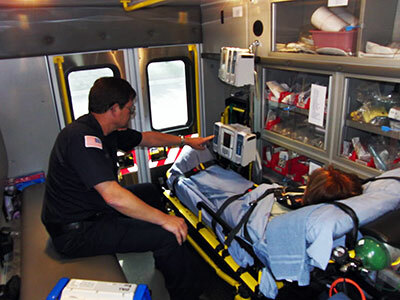 Critical Care Transport is indicated whenever a patient that has care needs that exceed the current local EMS standards for Advanced Life Support. The goal of the Critical Care Transport Team is to continue providing patients high-quality specialized medical care during transport comparable to that of in-hospital care.